Now you can become your favorite animatronic character from the hit game Five Nights at Freddy's! This PVC mask features Bonnie and comes complete with a head strap for security. 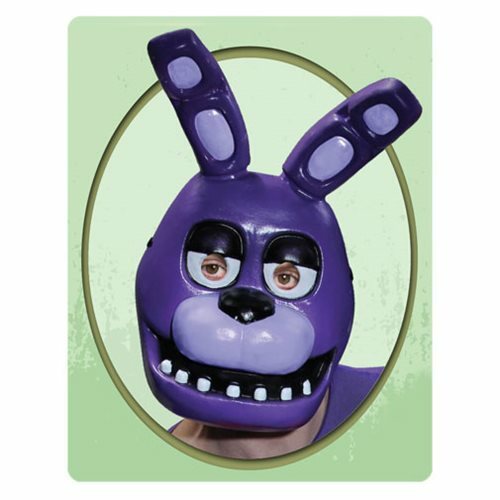 This Five Nights at Freddy's Bonnie Mask is adult size and one size fits most. Ages 14 and up.